How Long Do You Have to Wait to Get a Divorce in DC? If you want your divorce case to move quickly, you and your spouse should try to come to an agreement regarding all issues of your divorce, including the division of marital property and child custody arrangements. In Washington D.C., an uncontested divorce, in which the spouses are in agreement, generally takes two to three months from the date you file the divorce complaint to be finalized. In contrast, a contested divorce, in which the spouses cannot come to an agreement on their own but need the court’s assistance, can take 18 months or longer. To file for divorce in Washington, D.C., either you or your spouse must live in Washington, D.C. for at least six months before you file for divorce. When you file for divorce, you must state a ground, or reason, for the divorce. Washington D.C. recognizes only two grounds for divorce. The first ground requires the spouses to voluntarily live separately and apart for six months. This means that you and your spouse have voluntarily agreed to not live together. Living separately and apart means living in separate residences and not acting as a married couple.The second ground for divorce is living separately and apart for one year. There is no requirement of voluntary separation in this second ground. To begin a divorce case in Washington D.C., file a complaint for absolute divorce with the Central Intake Center in the D.C. Superior Court. In addition to the complaint, you will need to complete a family court cross-reference form and a vital statistics form. 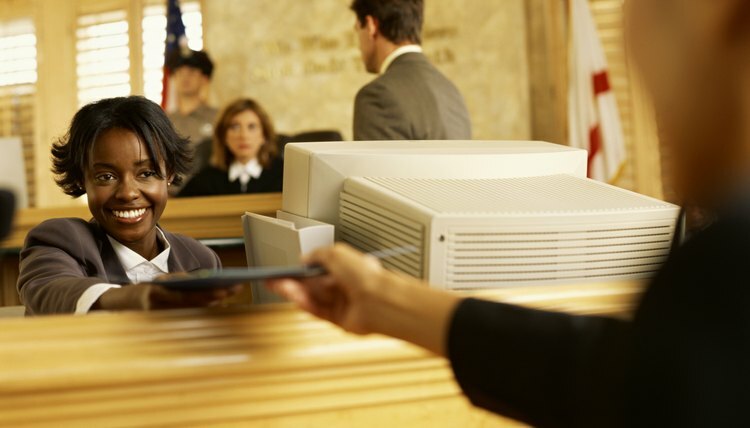 After you file your documents with the court, you must serve your spouse with a copy of all filed documents. Referred to as service of process, serving your spouse means arranging for an individual other than yourself to personally deliver the documents to your spouse, or sending the documents through certified mail. However, your spouse can agree to accept service beforehand and then formal service of process is not necessary. After receiving notice of the divorce, your spouse has 20 days to respond to the complaint by filing an answer. The answer must address all terms of the complaint. If your spouse does not respond to the complaint, you must file for a default judgment. A default judgment means that the court will likely award you everything you asked for in the complaint because your spouse has not responded. To request a default judgment, file an Affidavit in Support of Default and an Affidavit in Compliance with the Servicemembers Civil Relief Act with the Central Intake Center. If you and your spouse agree about the terms of your divorce, including how you would like the court to divide the marital property, submit a property settlement agreement to the court. A property settlement agreement is a contract between the spouses and in addition to property, can include child visitation arrangements and spousal support. A property settlement agreement can make a divorce easier for both spouses by allowing them to maintain control of the outcome of important issues and can save time and money in litigation. The final hearing is the last step in the divorce process. In an uncontested divorce, the spouse that files the divorce complaint, referred to as the plaintiff, must appear at the final hearing. The other spouse, referred to as the defendant, is not required to attend the final hearing. However, if the defendant would like a maiden name restored, the defendant's presence at the final hearing is necessary. The divorce will then be final 30 days after the final divorce order is stamped by the court, usually a few days after the final hearing. Andrews Law Center: Divorce in Washington, D.C.
A divorce is legal in nature. In Montana, the procedure operates like a traditional lawsuit, starting with the filing and service of a petition for divorce. You are required to respond to the petition, and the law specifies both the time you have to respond and the format that the response needs to take. Further, the court requires different forms depending on whether you have children and whether you and your spouse can reach agreement. Understanding how to properly and timely respond to a petition in Montana will help you avoid costly delays and ensure your continued participation throughout the divorce process. Although an uncontested divorce can mean that your spouse isn’t responding to your divorce papers and won’t involve herself in the process, in the truest sense it means that you have come to terms on all issues. Tennessee offers a simplified divorce when this is the case. Although the state recognizes 12 different fault grounds, these generally pave the way for a contested matter. If you’re filing what you expect to be an uncontested divorce, you can use the no-fault ground of irreconcilable differences.